Combination Sauna Heater/Steam Generator. Now you can enjoy invigorating heat as well as gentle steam. The Steamy sauna heater offers you several ways to take your sauna: a traditional sauna with higher temperatures and fairly low humidity; or – as is the sauna bathing trend worldwide – a "soft sauna” with lower temperatures and higher humidity. 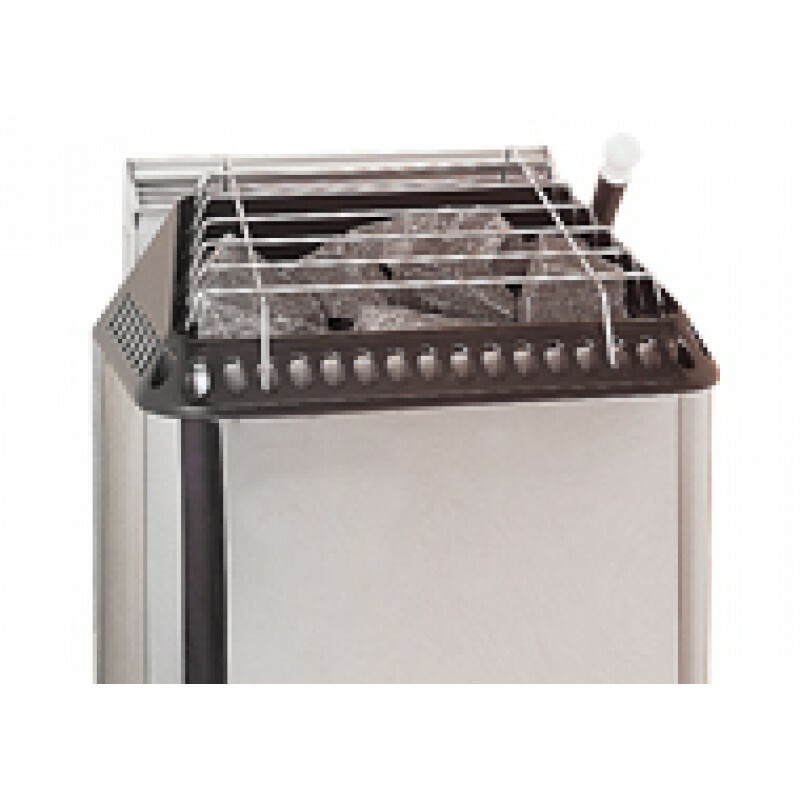 The Steamy heater and its quiet steam generator are controlled from an easy to use control panel. The steam generator can be connected directly to a water supply, or the water tank can be manually filled. Available in 6.0 or 8.0 kW. 50 lbs. of rocks.